How Far is Thiru Sankalp? Thiru Sankalp is one of kind blend of residential space that keeps out the stress of urban living, without sacrificing its benefits. It gives the opportunity for the modern soul to relax completely. We offer you the choice of a luxurious and spacious home for comfortable living. Enjoy the privilege of an independent and exclusive home that is the perfect reflection of urban living in a natural environment. Vitrified tile flooring 2’X2’ size for hall, Dining & Bed rooms. One Master Bedroom Wooden flooring. Anti-skid ceramic tiles flooring for toilets. Granite flooring for stair case & landing. Concealed piping with adequate points for power, Light and Modular switches & Sockets. Srinivasa Constructions is a fully professional team which completed 20 years. You will have peace of mind when it comes to buying form Srinivasa Constructions, it is a company to reckon with the high-end residential projects to its portfolio. We are not building just any house, we are building your home. Experience an enjoyable change of scene as you drive down to Thiru Sankalp on the silky smooth wide road. Enter a unique and fully secure gated community. The luxury project is centrally located near the Schools and Colleges in Nizampet, and near to JNTU. You can enjoy the facilities like Park, Theatre Complex’s, Shopping Complex’s etc., near to you. You will have easy access to Hi-Tech City, Ameerpet, BHEL within a few minutes drive. 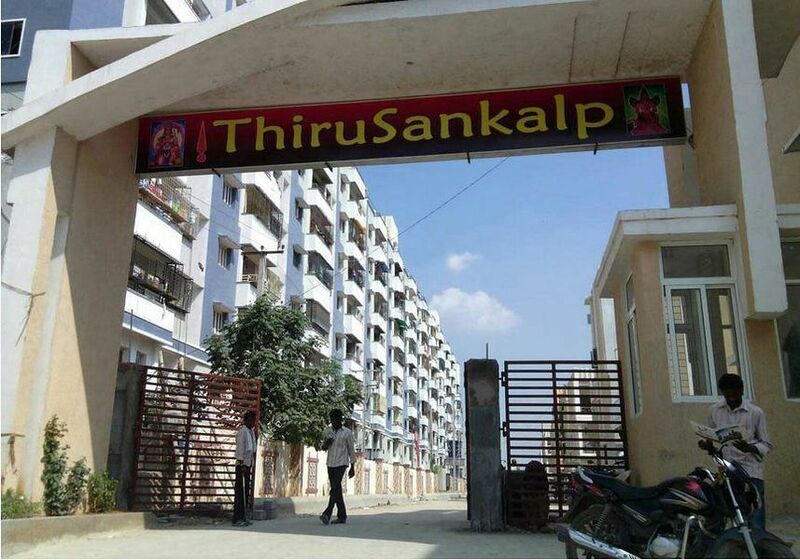 Life becomes comfortable and convenient when one chooses to live in Thiru Sankalp. A good home should keep you happy for lifetime of comfort, That is why your home is designed with care to provide all amenities and facilities to make living a pleasure. The interiors are designed to provide maximum space. 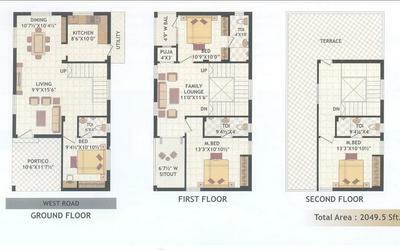 The common areas are beautifully proportioned to your best convenience. Plenty of natural light and excellent ventilation. Enjoy the privilege of an independent and exclusive duplexe’s with all amenities and facilities for a perfect living. If your desire is to live a beautiful house, in the best location in the heart of the town, with assured better quality of life, May fulfills at Thiru Sankalp.